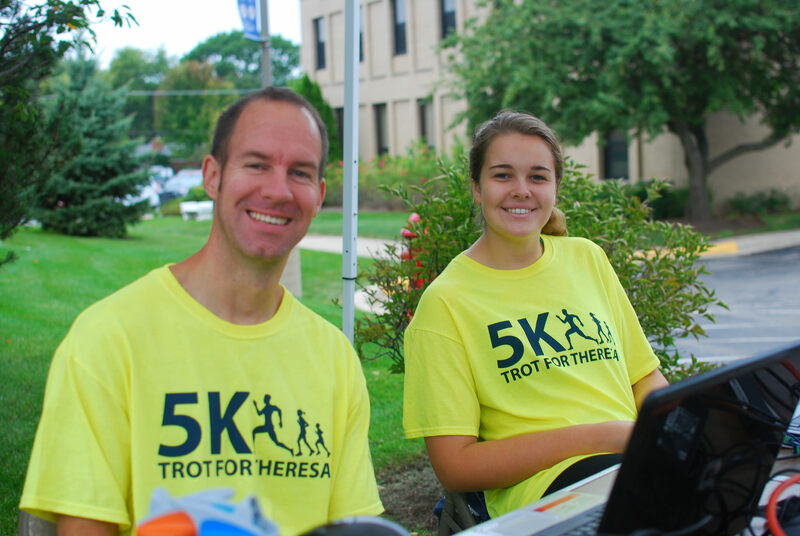 Join us for the 8th Annual Trot for Theresa 5K! 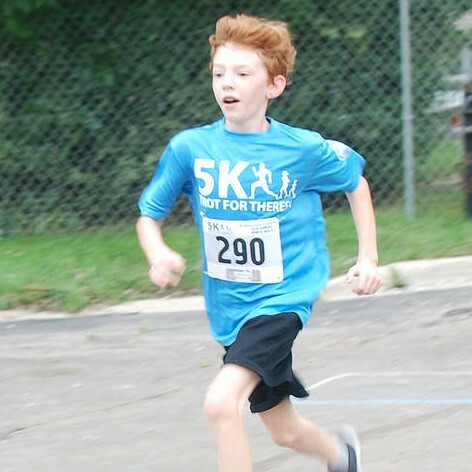 This USATF-certified (IL-13006-JW), flat and fast course begins and ends at St. Theresa School (445 N. Benton Street) and winds through a tree-lined Palatine neighborhood. This event will be electronically timed. 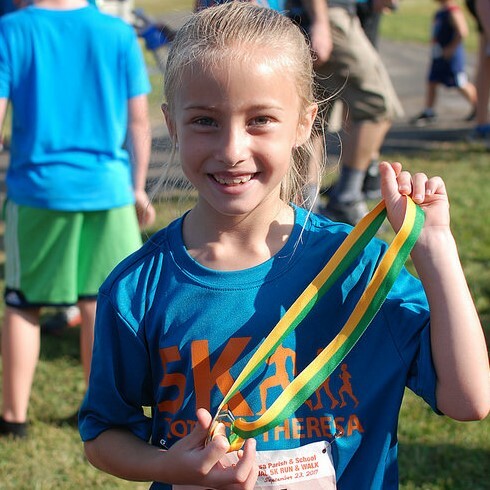 Saturday, September 22, 2018 - Rain or Shine! 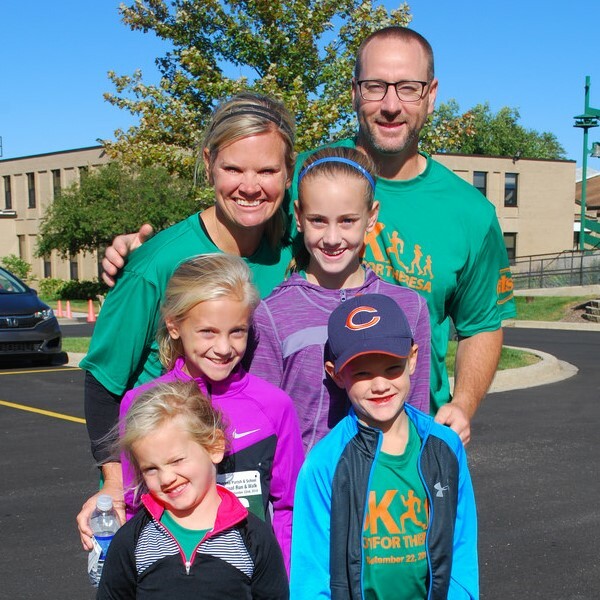 St. Theresa School, Palatine, IL - Free parking! 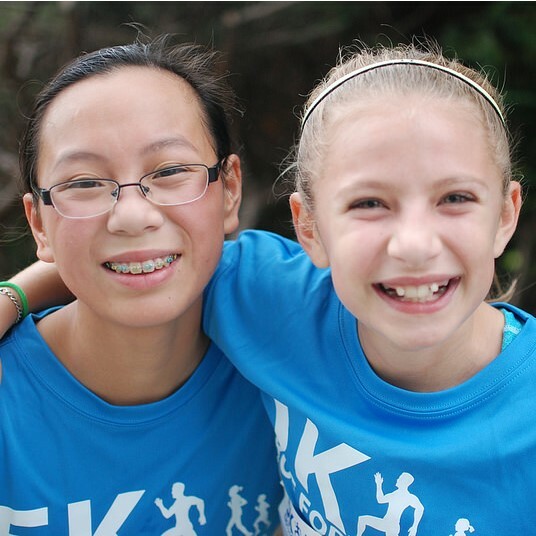 Race day registration CLOSES at 7:30 AM! Cash prize to overall male and female finishers! Pre-registration is currently closed. You may register on the day of the race prior to 7:30 AM. The post race party will begin immediately after the race. 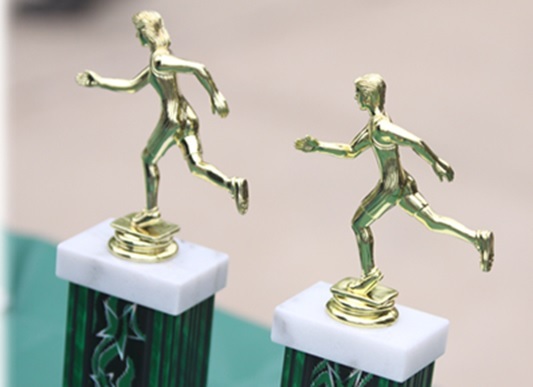 Awards will be presented at approximately 9:00 a.m.
Stay for the food, music and fun! 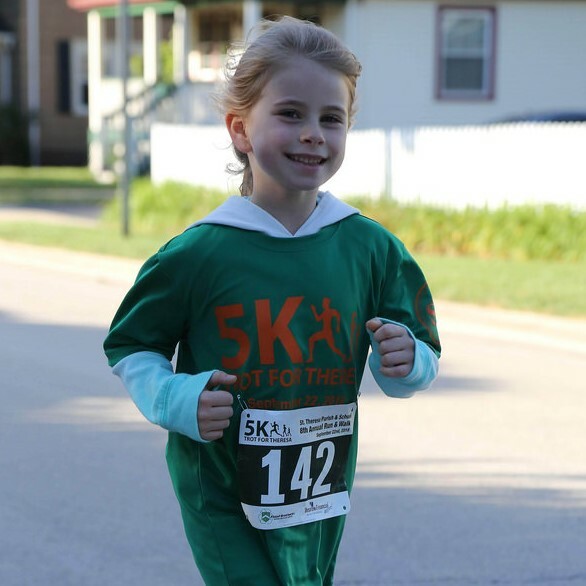 All kids are welcome to participate in the free kids run! Register by Sept. 7 in order to receive a shirt! 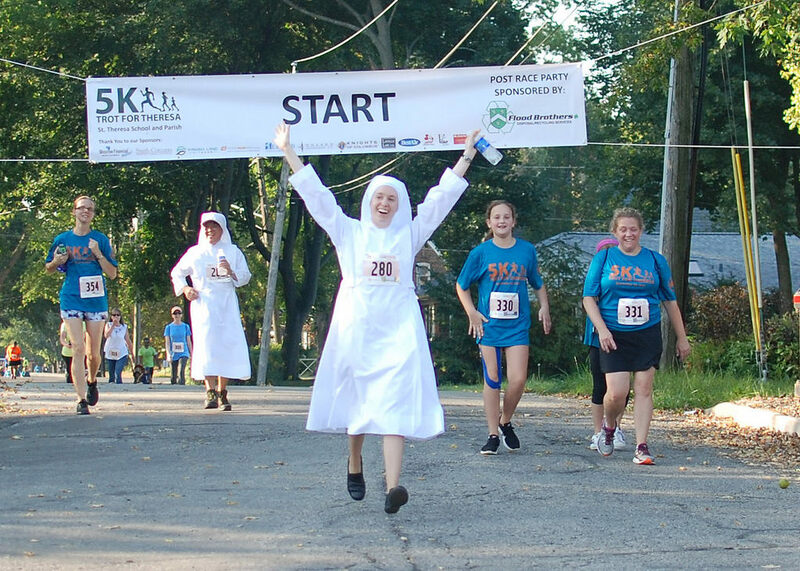 Thank you to our Trot for Theresa 2018 Sponsors! Please see this document for a description of available sponsorship opportunities. Sponsors, please submit the procurement form with your donation. 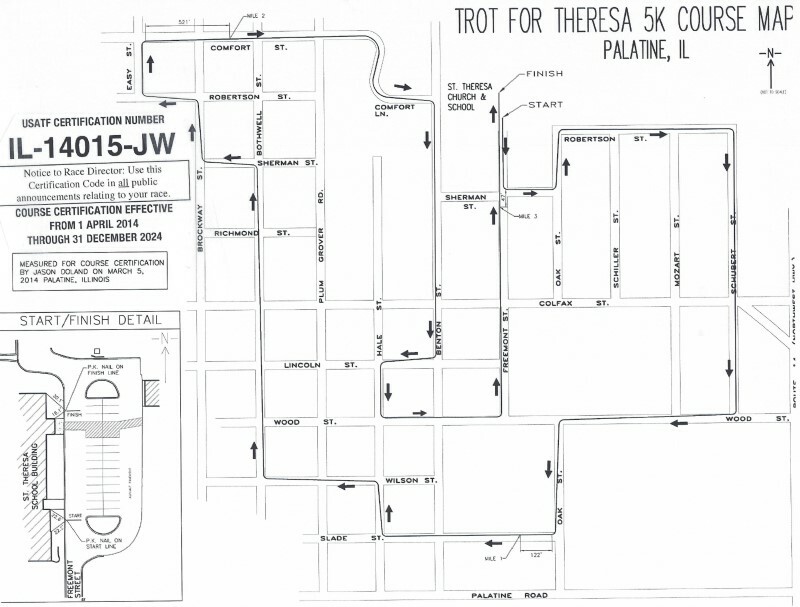 This USATF-certified ( IL-14015-JW), single loop course is flat and fast. The route begins and ends at St. Theresa School and winds through a tree-lined neighborhood. Perfect for both runners and walkers. Strollers are welcome, we just ask that you please line up towards the back. A $100 cash prize will be awarded to the top male and the top female finishers! 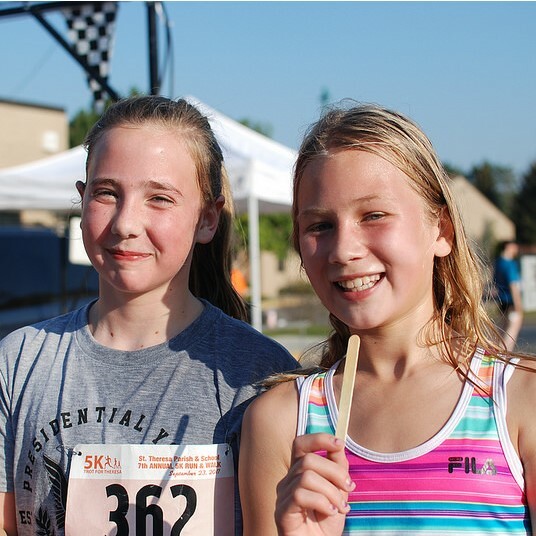 Medal and ribbon awards will be awarded in the age group categories listed. Race results for 2018 are now available - click here! We are looking for volunteers to assist on the day of the race in the areas of: setup, registration, monitoring the racecourse, post-race party, and more. All volunteers will receive a free t-shirt! In need of service hours? Service hours will be awarded to all students from any school!